Porsche selects only the best body shops to be a part of their Porsche Approved Collision Center Program. 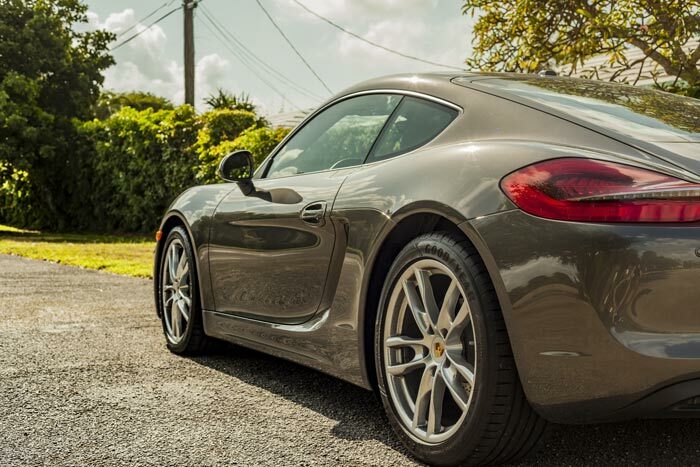 You need your Porsche to be repaired the right way, so bring it to Magnum and find out why more manufacturers trust our repairs more than any other shop in the area. We confidently provide a Lifetime Warranty for our repairs because we know that we have the training, tools, and experience needed to restore your Porsche to factory specifications. This warranty covers all workmanship and paint. We are dedicated to achieving 100% customer satisfaction and the highest quality repairs available – anywhere. Need an Estimate on Porsche repair? Magnum Collision Center is a proud to be a Porsche Approved Collision Center. We like to talk about our OEM approvals, especially when it comes to being a Porsche Approved Collision Center. But what does it mean for you and your vehicle? Modern cars are built with increasingly complex designs and advanced technology. Porsche is no exception, and they continue to push the boundaries of performance with each new model. These complex components require the specialized training and equipment that you will only find in a Porsche Approved Collision Center. Porsche holds their factory technicians to the highest standards. When they certify a body shop, they require the repair technicians to meet these same standards. Porsche has very specific specifications that they want their vehicle’s to meet. By taking your vehicle to a Porsche Approved Collision Center, your vehicle’s performance, safety, and look will be restored to pre-accident condition. In order to do this our technicians have trained with Porsche to learn the proper techniques for disassembly, repair, and reassembly. They also have the tools needed to match your vehicles original paint job. After our technicians are done there will be no signs the damage had ever occurred. Just as proper repair processes are necessary in Porsche repair, it is vital that when parts need to be replaced they are replaced by genuine Porsche parts. Each component of your Porsche was designed with a specific purpose in mind. They play a key role in the performance and safety of your vehicle. Mismatched aftermarket parts simply cannot replace the original. Using genuine parts also protects the value of your Porsche. Vehicle inspectors specifically search for any signs of aftermarket parts when appraising the value of a Porsche. When you bring your vehicle to Magnum, there will be no signs that your car had ever been in an accident. It is not an illusion. Our dedication to using the right parts and tools coupled with a factory approved repair technique will return your Porsche to like-new condition. Your Porsche is one of the biggest investments you’ll make in your lifetime. Protect that investment with a repair from Magnum Collision Center.